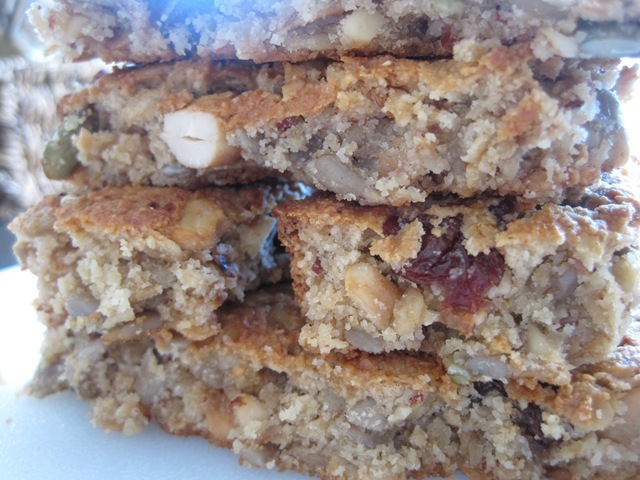 Since we have a long drive ahead of us to get to the cabin this weekend, I wanted to make these nut bars so we have healthy and filling snacks while in the car or during our long days at the lake. 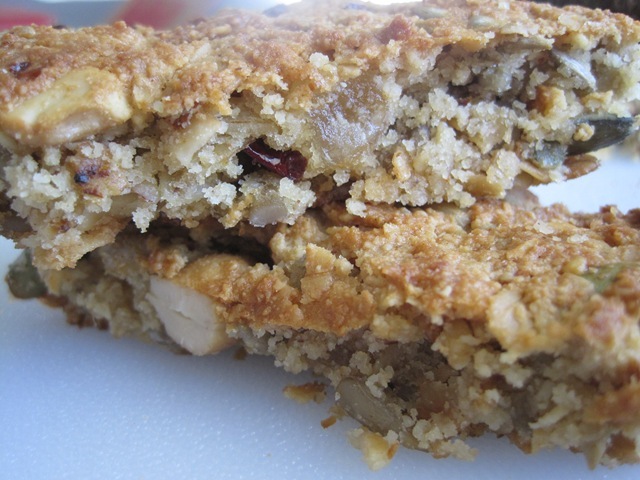 These are hearty bars that are filling and tasty. I made them this morning but didn’t have time to wait until they are completely cool before I had to cut them. I was pressed for time. 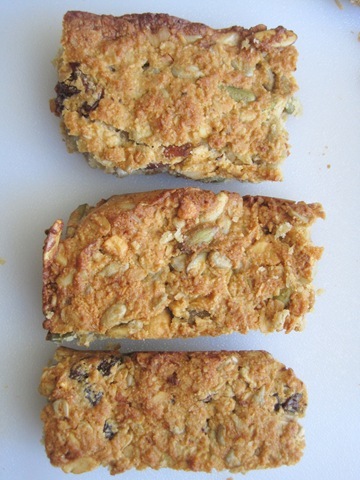 So they are not as pretty as other bars, but they are delicious and that’s what counts right? 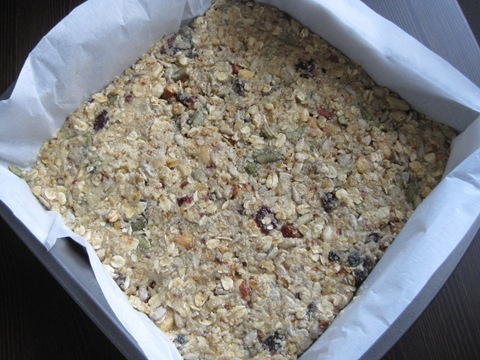 Into the 1st bowl, combine almond flour, oats sea salt and baking soda. In a 2nd larger bowl, mix together coconut oil (make sure it’s liquid form), agave, liquid egg whites and vanilla. Stir in dry ingredients from 1st bowl into wet ingredients in the 2nd bowl. 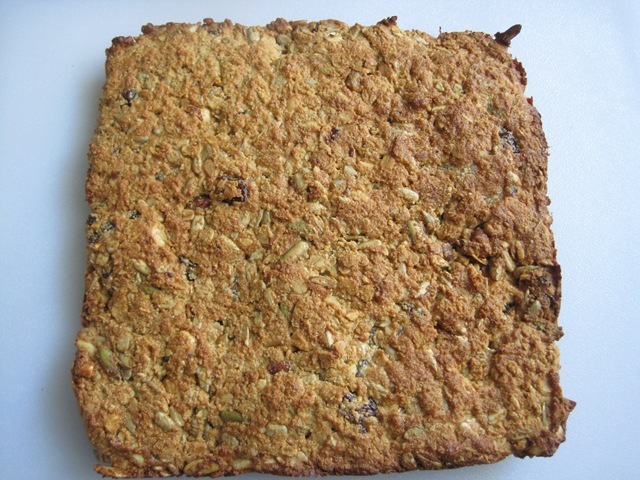 Mix in trail mix, sunflower seeds, raisins and shredded coconut. 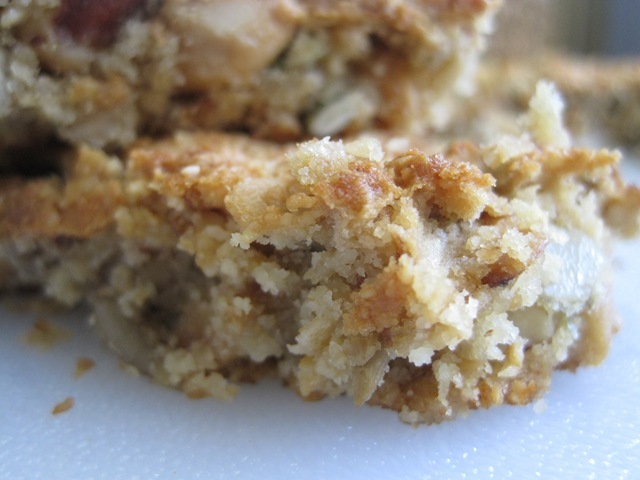 Grease baking dish with coconut oil or use parchment paper. Press the dough down evenly. 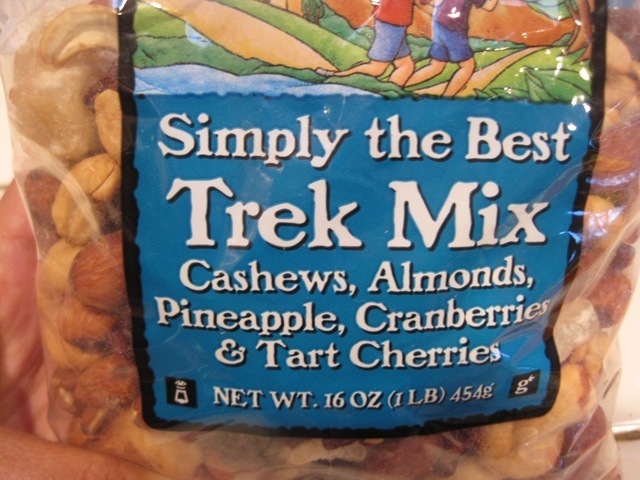 I used Trader Joe’s Trek Mix. I love this mix. These look so yummy! Must make ASAP! have fun this weekend – i’m so curious about where you’re going?!?! 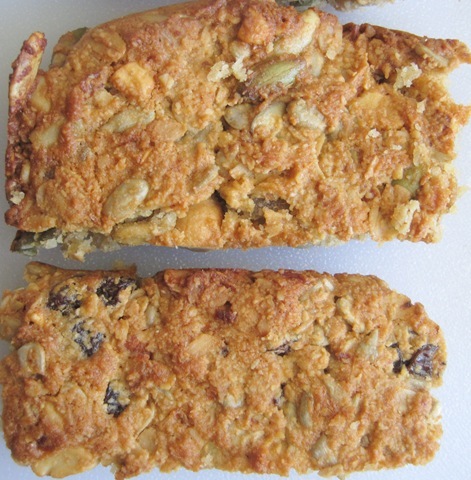 I have made these before without any eggs and used ground flax with water. It’s equally delicious.